Mystically Wired, Exploring New Realms in Prayer by Ken Wilson is easily one of my favorite books that I’ve read recently. I still had two chapters left in a somewhat similar book when I’d switched to it for a change of pace, and finished it (for the first time) a day and a half later, long before those other two chapters. The book is very conversational and easy to read, and won points with me early on by addressing the fact that sometimes prayer seems really hard, and sometimes we make it a lot harder than it needs to be because we live in a culture that doesn’t particularly encourage experiences with the supernatural. It goes on in the first half of the book to talk about various things our brains do that lend themselves naturally towards prayer. It’s explained well, in spite of being somewhat technical studies and such at times, and the book is well footnoted throughout to look into things more if you choose to see where he’s getting it from. The second half of the book goes into practical things that you can try that might not be the most obvious methods of prayer as our society expects it. While most of these weren’t exactly new to me, it was really nice to see them explained a bit more as to the reasoning behind why they help. Some of these methods are probably where someone might have issues with the book. He does use the term meditate rather than calling it silent prayer or contemplative prayer, as well as using the term mystical instead of supernatural.. which along with at least one of his personal experiences mentioned may drive off some of the more conservative. But then, on the other hand, he also discusses using books of written prayers instead of focusing on spontaneous phrasing, and rituals of praying short prayers at certain hours of the day everyday. Personally, I know of a few people on the other end of the spectrum that would probably be just as critical of those methods, and the (probably deliberate) lack of mention of things like prayer languages and such. Personally, I loved that it had such a range, towards doing what worked out well for you. Overall, the book was really encouraging. It put things that I already knew a bit into words to explain them better than I ever could, and gives a nice boost of confidence in relaxing and remembering that prayer is something we were built to do. 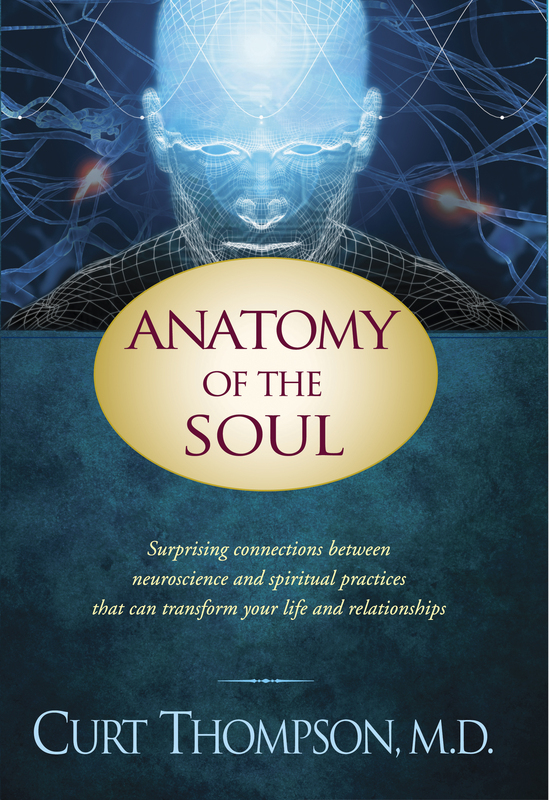 Anatomy of the Soul by Curt Thompson was a rough book to get through. In all honesty, if I hadn’t received the book from Tyndale House for reviewing the book, I would have put it down and given up on it before I’d finished the third chapter. It starts off ok… the introduction and the first chapter are interesting, and had me eagerly anticipating the rest of the book. From that point, the book turns into a poorly organized college textbook on the psychology with a twist of how it connects with our relationship with God. The info itself is really good, and it has some interesting things to think about, but it really takes some work to get through it to find them. The material and the phrasings seem almost to be intentionally wordy and complicated. Frequently I found myself rereading a paragraph, having missed its point the first time, and then marveling at how much more clear and simple the thought could have been expressed. The word choices are obviously not aimed at a casual reader. Even the fairly simple right brain/left brain on handling different aspects turns into a very long and detailed section on the development and such. It takes a full two pages just to explain that the author is leaving out footnotes because he doesn’t want you reading in a more detached scientific way. There are some interesting parts, mostly using examples of people in different situations, which are a very nice break in the dry desert. But even these are far enough between that when one of them is referenced, I found myself going “Brad? Who is Brad?”. Brad was probably one of the people mentioned in chapter 1, long since forgotten by name several chapters later. The topics really don’t flow. There’s just these sudden transitions from an interesting chapter about people opening themselves up to being known, abruptly to how the brain forms, then to how memory is stored and the different types of memory, then abruptly to emotions… and so on… until I was wondering if any of this was ever going to actually have anything to do with each other. Some of it does eventually work together towards the ends of the chapters, but the sudden complete topic changes make it hard to follow easily. Some of the chapters themselves are oddly organized. For example, the chapter on attachment starts with discussing how infants learn from their parents. Then mentions that there are 4 attachment types, and explains in detail about an experiment setup that identified them. Then explains how adult reaction types relate to childhood attachment types. Then goes back to the development discussion into how children learn to see themselves from how caretakers respond to them. Then how that adult type influences how we see God. Only then does it randomly go back to explain what the 4 types were in the first place and how the experiment results went for each, though with another switch to a discussion on how to encourage secure attachment in your children as a parent after the first one. Even the layout is a bit odd at times. Suddenly there’s a hard to read diagram of the parts of the brain inserted in, which doesn’t get mentioned at all until many pages later. And a random detailed statement about how to do a particular writing project “when you are done with the questions on pages 274-275”…. which might make a whole lot more sense to be somewhere other than page 79, almost 200 pages before you’d be ready for it, and where it’s main effect is to scare you at the thought that you are less than 1/3 of the way through this. Maybe one of the quirkiest factors is the lack of footnotes, which I greatly missed at several points where he makes references to different things. He does actually spend a bit discussing why they are absent, as he felt things were a mix of the ideas and that too many of them would be distracting. And, that it would have you thinking more logically instead of trusting more. While this does make some sense in the context of the right brain/left brain discussion, it really came off wrong that early in the book. Maybe it’s just me, but that really doesn’t inspire my trust, it inspires me to question why he feels like he needs to play around with things like that to get me to trust him. But, it also makes me wonder if he didn’t have some sort of intentional theory behind why this book is organized the way that it is. I can’t fathom exactly what, as mainly it just annoyed me, but perhaps jumping back and forth and making abrupt topic changes is supposed to have some effect on how the reader sees the info? It seems a lot more likely than assuming that nobody noticed, or that they thought the chapters like the attachment one I mentioned were well organized. My overall feeling was that I found myself really wishing I had a cliffnotes for the book. The interesting material, but simplified, summarized, and aimed at someone that isn’t a fan of fighting their way through the reading process. I know it was done by Misty Edwards. But, that doesn’t always mean it was written or originally done by her. I can’t find anything on youtube. Or anything that looks close on her albums, though I can’t find full album lyrics to search through them. I can find some lyrics that match using google…. however… only parts match. Most of the ones I’ve found have been back in 2007, and while some of the sections are the same, most aren’t. Such is the nature of leading songs live that adapt and change over time I suppose. But the mp3 is pretty close to how she’d done it…so I’m going to type from what i can tell from that… as nothing else seemed very close! i’ve never been good at waiting. Who am I to rage against you? Who am I to stand up and shake my fist in your face? And who am I to tell you how you should be doing things? So I’d made it through the baptism in spite of freaking out. It’s a little bit hard to describe exactly what was going on afterwards. The fear had mostly gone. But most of the other freak out symptoms stayed… so I was still shaking a bit, breathing rapidly, and clutching the edges of the towel way too hard. And had gained this really weird disoriented feeling. I was rather grateful the fear had eased though, as next they had a prayer line set up over a bunch of towels. (Receiving line, fire line, gauntlet… whatever you want to call it ….) Basically, this is a setup of people on both sides, praying for people and laying hands on them, then you move further along to the next section of people, etc. So I get changed into dry clothes, return the towel, and go back to the area where I’d been sitting before. And for about 5 or 10 more minutes, I’m still shaking a bit, and feeling dazed and disoriented. By this point, it’s probably been like half an hour or so afterwards total. And all of the sudden, it stops. And then I feel the presence. Not anything crazy or dramatic like does happen there frequently… no shaking or passing out or prayer languages or anything… just the same sort of feeling I’ve always gotten, but much stronger, and without any sort of effort to focus on it or ask for it or anything, just sort of by surprise. I assumed at the time it was because the disoriented feeling had left… but considering afterwards, I’m thinking it was probably the other way around and that was why the disoriented feeling and the shaking left. In either case… they traded… and a peace came. To back up a bit, when I’d first gone into the prayer room earlier, I’d started off with making a list. If you’ve ever watched the web feed from the prayer room, it always looks so calm. But then, they usually only show about the front 1/3 or the room, and even when they do a camera sweep that looks like the whole room, it only really covers the front 2/3. Behind the cameras usual area, there tends to be a lot going on. Lots of people around in general, lots of people who like to walk the aisles while they pray. It always surprises me for some reason how much there is going on in the room that I forget about just watching it from home… and with being someone that gets easily distracted, it takes me about half an hour or so to get used to it. So, I’d made a list. Sort of a list of concerns… not so much a prayer request list, more a list of things I wanted to focus on. An agenda I guess for lack of better word. But it served well to help with settling in and focusing. One of the things that originally made the list was the tendonitis in my wrist. It’s particularly a problem when I’m working with call center stuff, so it’s been something that really worries me when the job search isn’t going well. Because I know of a call center job I could probably get, but know that the wrist issue would make it an absolutely painful and awful experience. It’s actually been bothering me quite a bit in the past couple of weeks, in spite of not working at a call center right now… so it was in my mind, and made the list. But, the tendonitis is partially actually just a symptom. I’ve mentioned a bit off and on, mostly related to diet things and pregnancy things, but my chemical system is totally thrown off from normal. To the point where I’d been told by an endocrinologist that I’d never get pregnant on my own. Basically, I have two different issues, one adrenal gland issue, and PCOS, which then feed off of each other, and one chemical being off throws off another one that bases itself off of that one, which then messes up something else because there is too much of that one, and everything goes haywire, and causes all sorts of chaos. One of the effects of the PCOS side of things is insulin resistance. Tendonitis is much more frequent with diabetics, so the theory is that the connected elevated levels is what increases my problems with tendonitis. The insulin issue also happens to be the one thing that I can actually monitor myself without going to a doctor and having lab tests done. So since the tendonitis has been acting up, I’d been checking my morning fasting blood sugar levels for the past 2 weeks… to see if they were out of whack as well. 100 or lower is considered normal for normal people. Of the 10 readings I had, all were between 107 and 110, except for one day of 104. Pretty much standard for insulin resistant or pre-diabetic people. Anything under 115 or so I consider normal for me. 140 or so is where it starts being considered dangerous levels and into diabetic range. So even though the numbers weren’t higher than my normal ones, I’d replaced tendonitis on the list with “chemical/hormonal issues”, figuring to start broader. But, as with the other items on the list, it got forgotten after that point. Until about 5 or 10 minutes after the peaceful feeling of presence had arrived. There are lines on the carpet across the front of the main room in the school building, to try and keep things more sanely organized… they ask for those wanting prayed for to stand on the lines, so then people can get between the rows to go along and pray for them. So one of the leaders asked for people wanting physical healing to go forward to the lines. I had 2 different physical things on my list… but I didn’t go. Mainly because my arms and legs were still feeling weak… pretty usual for after a panic attack, probably related to the shaking. So I stayed planted in my seat, a ways back, and kind of off by myself a bit. Nor did I raise my hand. Even so, a minute or two later, I felt this warmth in the upper part of my body. So I gave this an interesting maybe. The evening went on for about another hour… and I headed home about 12:30 or so after stopping for gas. As I had skipped dinner, I was snacking on things for the trip, and had stopped about halfway home to get a cappuccino… so I’d been putting calories into my system until about 3 or 330 in the morning. Fasting blood sugars usually require at least 8 hours after eating to have dropped down, so when I was up for church around 930, knowing it had only been 6 hours or so, I knew it had shot of still being higher than it should be. 3 lower than my isolated lowest reading over the previous 2 weeks, and at least 6 lower than the regular readings. The next morning, it was 98. The first blood sugar reading within the official “normal” range I’ve seen since I was pregnant with Boo and the medications they had me on had my levels going all over the place. Including the year or so I was on avandia.. which had only dropped them to around 103 to 105. The wrist actually is still bothering me some. But the random lower numbers, especially all in a clump, are enough to be totally messing with my head. So I headed off towards KC, almost instantly turning the radio off and even while still in town feeling a stronger prayer focus that usual. A couple of things came into mind during this time… most of which are another post. But one thing stood out as becoming the true reason for the trip. It’s a really long story that I’m not going to get into real deep on this post… but in the many years since I became a Christian, I’ve never been baptized. But, after leaving that church eventually, it turned into an area where I’d chickened out. In one situation because it was a church that had big expectations on what would happen afterwards… where I didn’t have confidence that it would or that I could even fake it if it didn’t. Followed by a methodist church where I don’t think I ever heard the topic of baptism come up even once. Followed by rebellion period. Followed by church hopping period. Followed by my current church, where while I feel like its where I’m supposed to be, I still don’t feel particularly comfortable, so have mostly ignored their baptism classes. Mostly over the years, I’d become ok with it, as much as it had been a sore point a decade or so ago. But, it had kind of been on my mind off and on for a few months. One of the new seeker-friendly churches has a big baptism party sort of thing a couple of times a year… that I’d even looked up online and considered a bit… but not actively. This was an active reminder. Along with a memory that the previous Sat night, I’d seen on the webfeed that they’d done some baptisms at this awakening service, though they hadn’t on any of the other nights I’d watched. And then just this feeling again… father’s day trip. Then that it made sense that what you’d give someone as the best gift is what they had told you that they wanted you to do… and that one was a well documented request. I suppose with my recent whining on not feeling led in any particular directions, I should have been just gung-ho on jumping on anything.. but this was not particularly something I wanted to do. I’m openly a chicken on some things… and this has always been one of them. And yet, this was a feeling like I was really supposed to. But then it pretty much left my mind, with all the other things taking focus. After arriving, I spent about two and a half hours in the main prayer room, which was a good time, and will probably be several other posts. Service starts… at some point I’d noticed that their baptism area was covered with a tarp… and felt a bit off the hook. And that lasted until, oh, a bit after 9 I guess. When they abruptly announced they would be doing baptisms. At which point I became very glad I hadn’t eaten dinner. Ever get that dramatic pit drop in your stomach? I’m pretty sure I would have been seeing dinner again. Remember those panic attacks that I have only has a few times in the past years? And that I really dread close dealings with people I don’t know? And that I tend to clam up in situations where I don’t feel like it’s predictable? Oh… and that these were live on their broadcast? I’m actually still a bit amazed, but somehow I made it over to their sign-in area in spite of the stomach pit, the random sweat I’d broken out into, the shaking that had started, the breathing more appropriate for having run a 5k… and the general feeling of world-ending fear. And after about 15 minutes or so of pacing around and freaking out, actually managed to get signed up. I went back to the waiting area… and a couple of people went ahead of me, both having been motioned to stand in the area while the person before then was up. However, the lady motioning them was distracted… and so I got motioned directly when they were ready for me. Something I was really grateful for, as I was still out of breath and shaking a bit… so the spell of waiting there knowing it was coming up next wouldn’t have been a helpful one for my confidence. And so… I went through with it! No chickening out. In spite of still completely freaking out at the time! But I made it through it! About three posts back, I mentioned my thoughts about ihopu. Which is a school… more a training program than it is a standard college. They don’t teach any general education classes like math.. thus they don’t qualify for accreditation or loans or the like. I feel like I should probably explain a little bit more before I get into the weekend. The school is associated with a prayer room, a place where they’ve had a 24/7 prayer and worship service going on for more than 10 years. It’s sort of a controversial place. If you are someone who does not believe in the speaking of tongues occasionally in prayer, you might not be a big fan… and there are those who believe one of the leaders who started the room was too closely connected to some who are too far out there into other movements. I’ve never heard anything said or done there that didn’t have biblical backing… nor have I heard anything leaning towards “name it claim it” sorts of logic. Nor have I heard any complaints of such from people around here of it, and if they had them, I’m sure that they would be aired. Instead, the complaint around here is usually more of a complaint of people getting a mountain-top sort of mentality…. seeing the prayer room as a destination. Seeing trips to there as pulling focus away from their home communities and away from the view that God is as present in one place as he is in the next. And I agree with them logically. Yes, the temple no longer exists… God is present everywhere, you don’t have to go anywhere to find him. Yes, prayer is the same no matter where, and no matter how long it’s been going on. Having said that… I’m not convinced that logic is the only thing involved in the picture. There are places and circumstances and such where it seems a lot easier to connect with God, and to feel his presence. It’s not that he’s there more than he is somewhere else, it’s that somehow it’s easier to get through human-ness to experience it. Maybe it’s just an emotional thing… but whatever it is, it is. There are a few different circumstances that I know work for me on this, that sometimes don’t work at all for other people. Having become a Christian at a concert, music by that artist tends to have a special effect at times for example. But the prayer room is one of those particular places that does for me, and for many. Maybe its just an expectation thing… maybe its a place that’s been prayed over for those who enter enough… maybe its all in our heads… maybe its a place the spirit likes to become more obvious. I don’t make any claims to know or understand the exact “why” it is. Or for that matter, why it isn’t for some. But because I know it has been, I’d been thinking of doing a trip there since about February. The main obstacle is timing, and justifying the trip. It’s about a 3 hour drive… so it means 6 hours of driving total. Somehow, I make the same length of trip for a 2 hour concert, and it seems justified… but the trip in one day doesn’t seem like it is for just a short period… and the trip with staying the night doesn’t seem justified in the expense… and so I talk myself out of doing it basically with logistics. But after being on the site looking at the school stuff, while considering different colleges… I’d been watching the video feed from the website off and on this week. So the thought of a trip had come back to mind more already, but then on Friday, I started feeling like I should do a trip this weekend. And then a random thought that it was something I should do for father’s day. As my dad and I were never close even when he was alive, and Boo’s dad isn’t involved at all, this isn’t a holiday that’s usually on my radar at all. And so, since my mom was to have Boo spend the night on Sat anyway, I asked her if she would keep her earlier as I was considering going to kansas city for the evening. And amazingly, she said yes, even more amazingly with no questions asked. The awakening service portions didn’t end until midnight, so I put some spare clothes in a bag in case I ended up way too tired to drive home…. something I do regularly when I go to concerts 2 or 3 hours away. And just after noon, I started off for KC. I try not to get into too much detail on things here that I know fall into the highly controversial among fellow Christians. Because it’s really not worth fighting over… and I know that everyone has their own views on things, some of which seem as crazy to me as I’m sure some of mine seem to some of them. I’m not going to condemn theirs, but I also prefer not to openly get into areas where I know the conflicts sometimes arise. Unfortunately, in the next few posts, it’s a little bit unavoidable to not get into further detail. I don’t intend to make this a habit… but for the next few days, I’m going there. I don’t expect agreement… but I do expect that people will be respected regardless of views.. and in the off chance that comments do not reflect that respect, they will be deleted.